Will the 3DS Arrive in Time for Christmas? 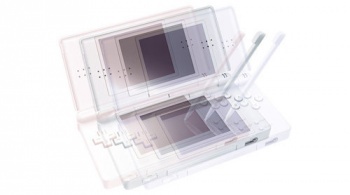 When is the Nintendo 3DS being released? The official word from Nintendo is sometime before March of next year, but according to sources in the UK, it's coming much earlier than that, perhaps even as early as October of this year. "It's a surprise - we were expecting it much closer to Christmas. But I suppose it gives Nintendo the opportunity to get it front and centre in people's minds nice and early," said a publishing executive. "In my experience, you don't launch a product that early to Christmas unless you're confident in it - and going to spend a lot of money on it. We're reassured that Nintendo is going to give it some decent backing in Q4." If the rumors are true, then the 3DS will be competing with Natal and Move for your holiday cash, which should make for a very interesting fight.